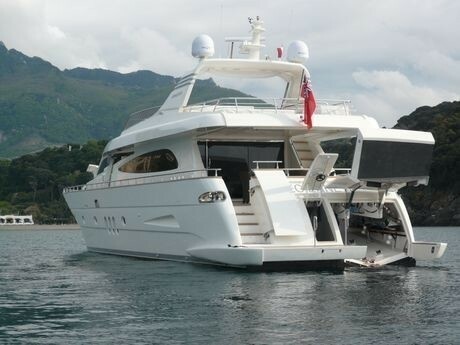 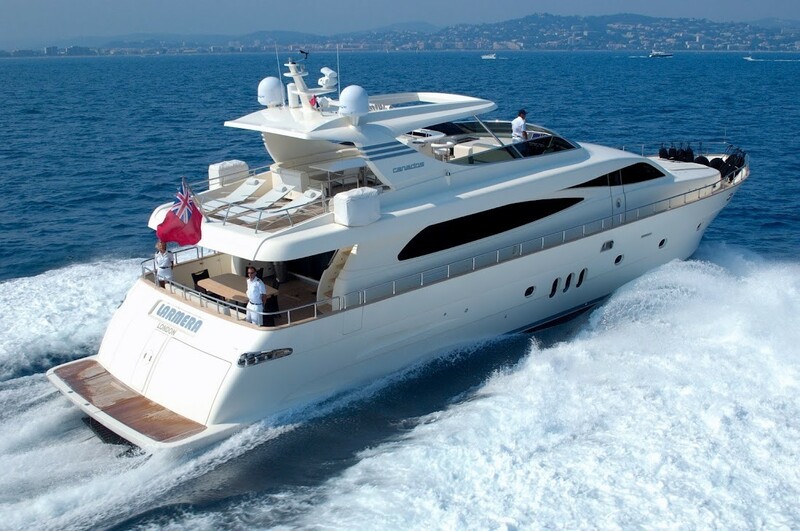 Motor yacht LARMERA was designed and built by CANADOS shipyard in Italy in 2008. 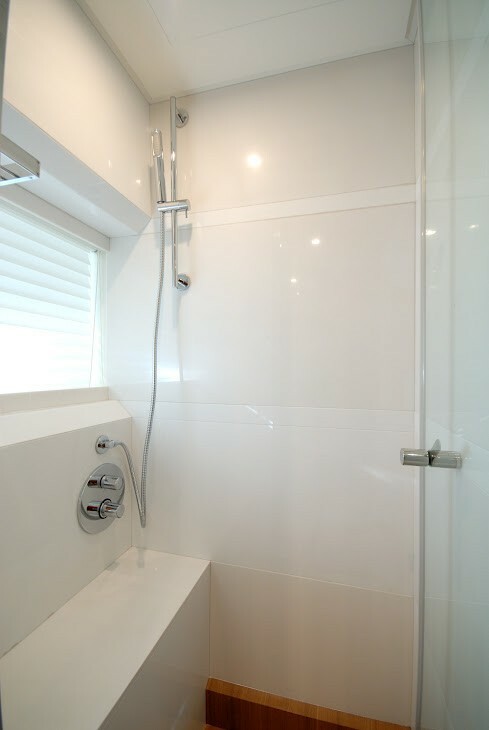 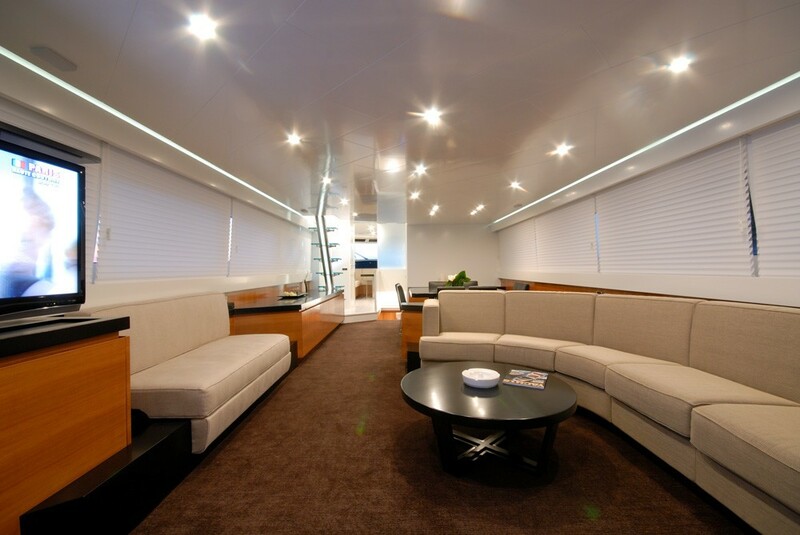 LARMERA measures 26,50m (86' 11") with a 6,45m (21' 1") beam and makes no compromise with quality and style. 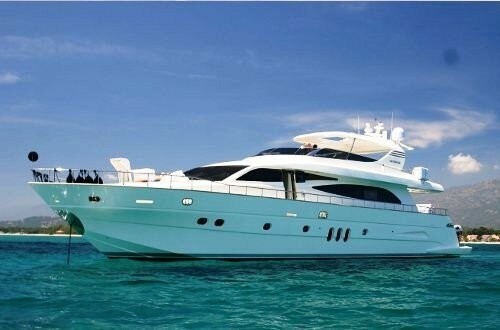 Canados motor yacht LARMERA offers elegance and versatility that will satisfy the most discerning charterers. 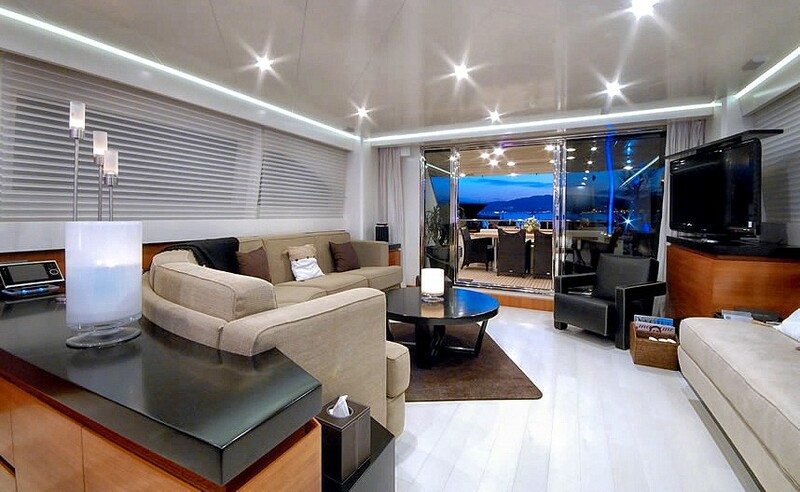 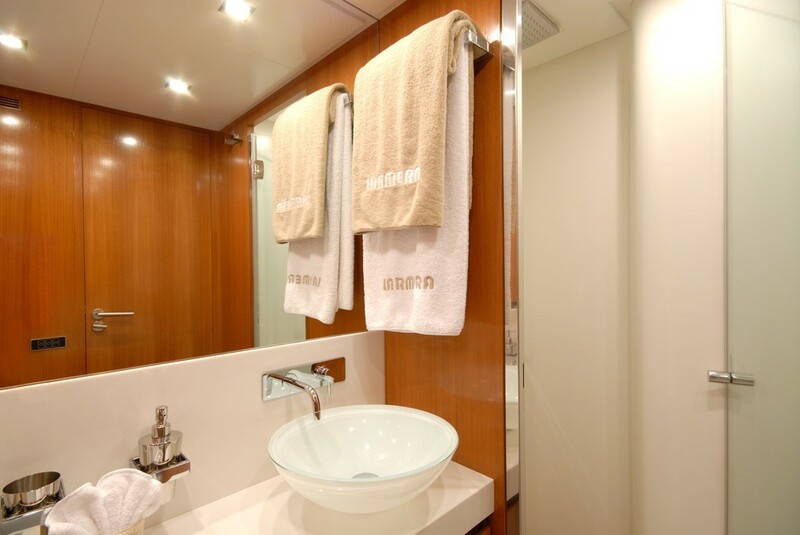 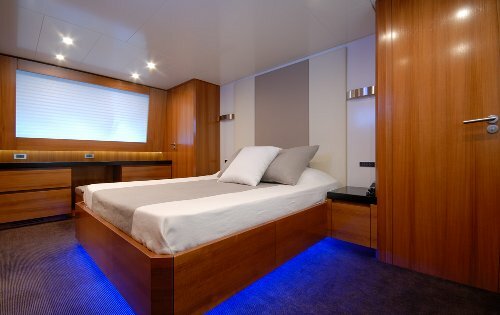 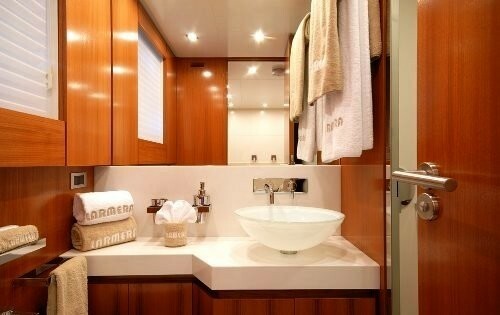 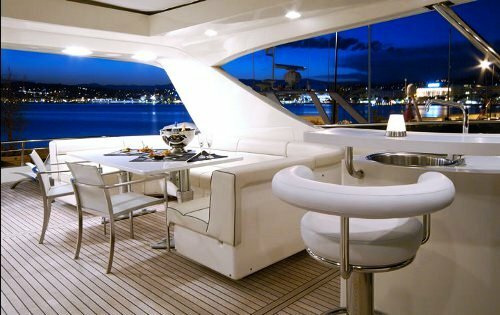 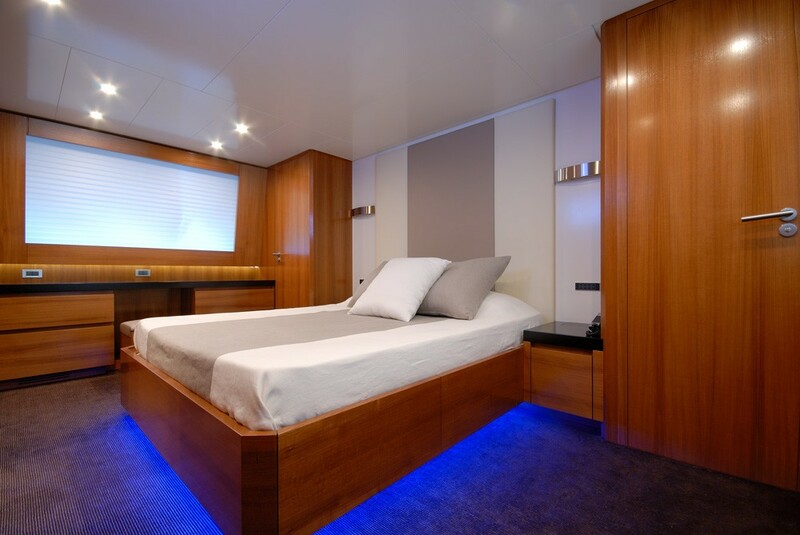 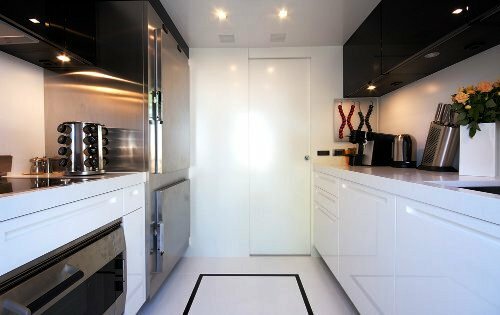 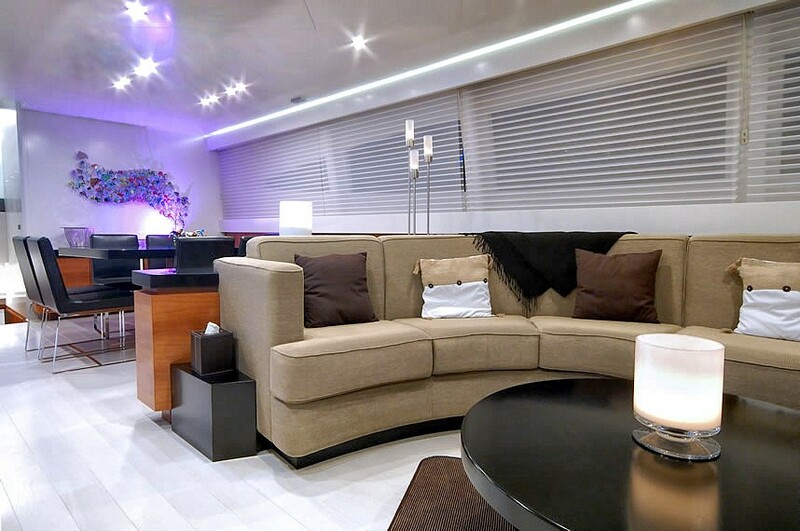 Motor yacht LARMERA has a fresh and vibrant chic interior. 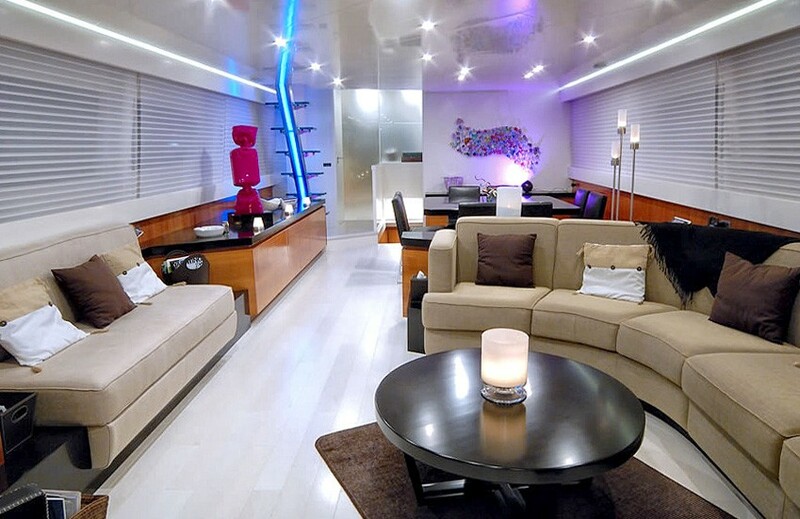 Her main salon is bright with curved seating to starboard and a smaller couch to port. 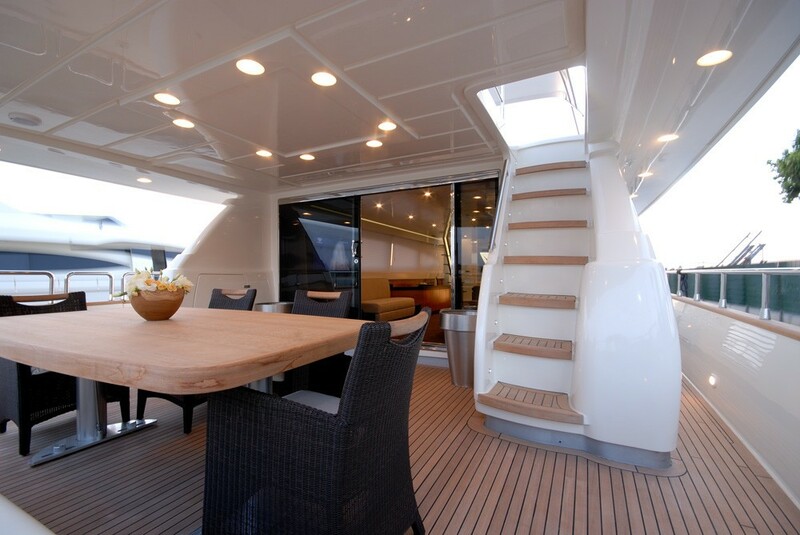 Further forward is the dining area opposite the open stairs leading to the upper deck. 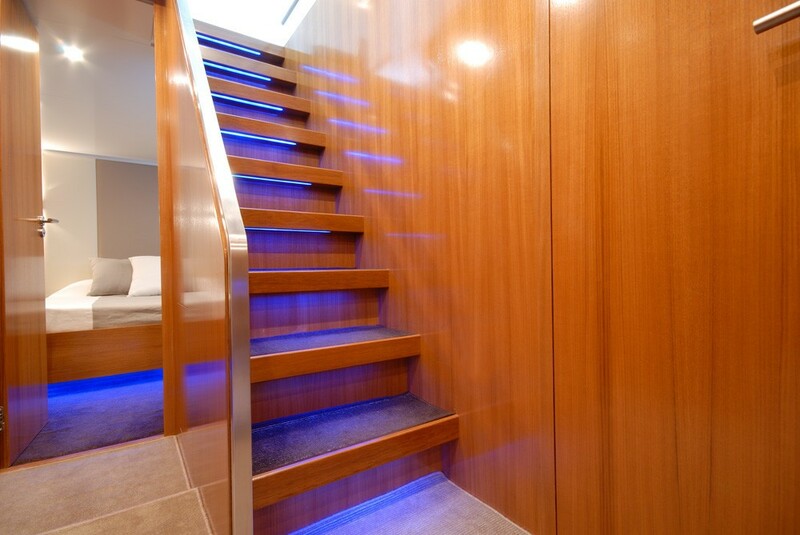 The stairs are lined with a blue light adding an incredible ambience to the room. 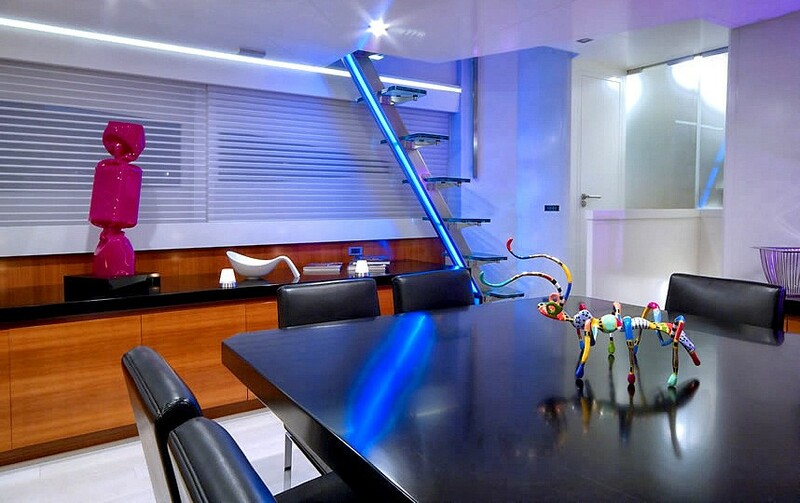 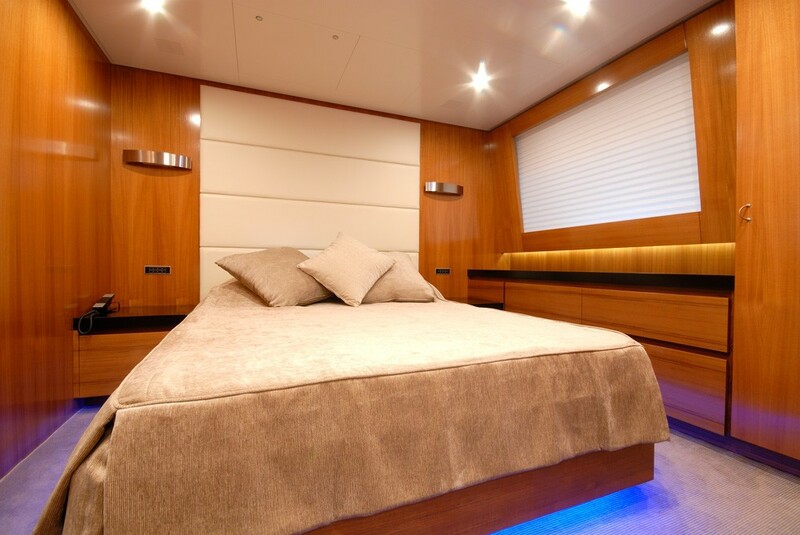 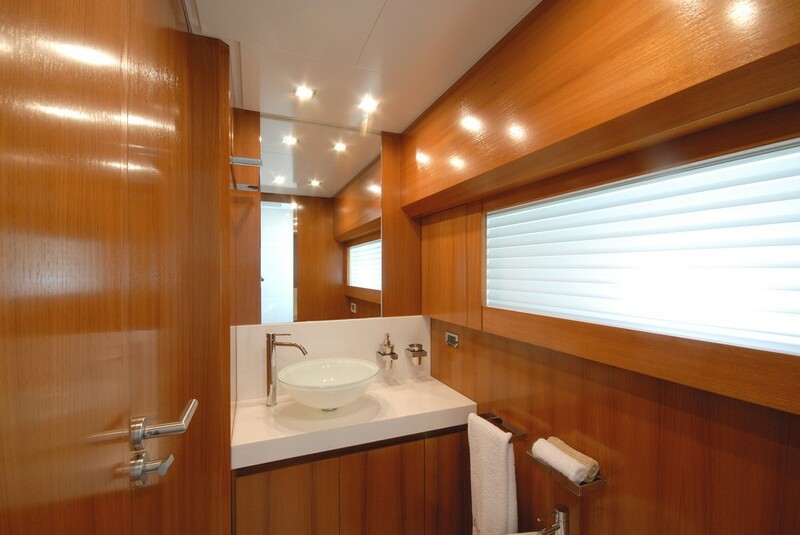 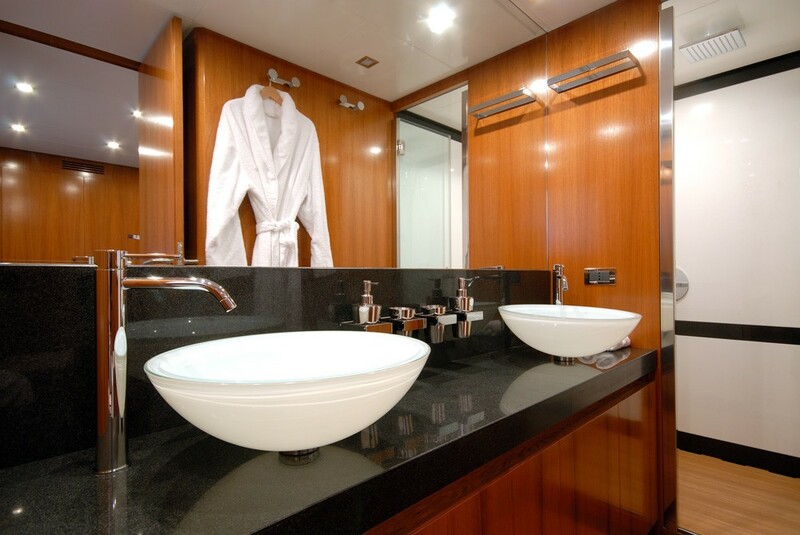 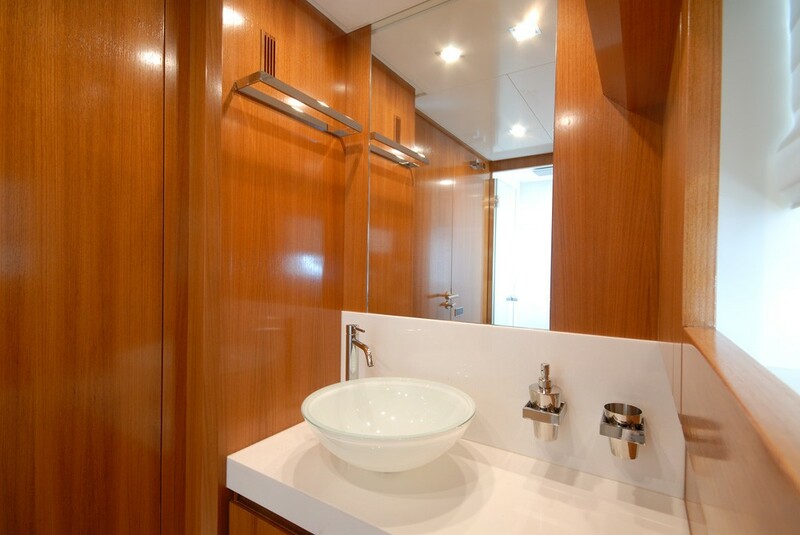 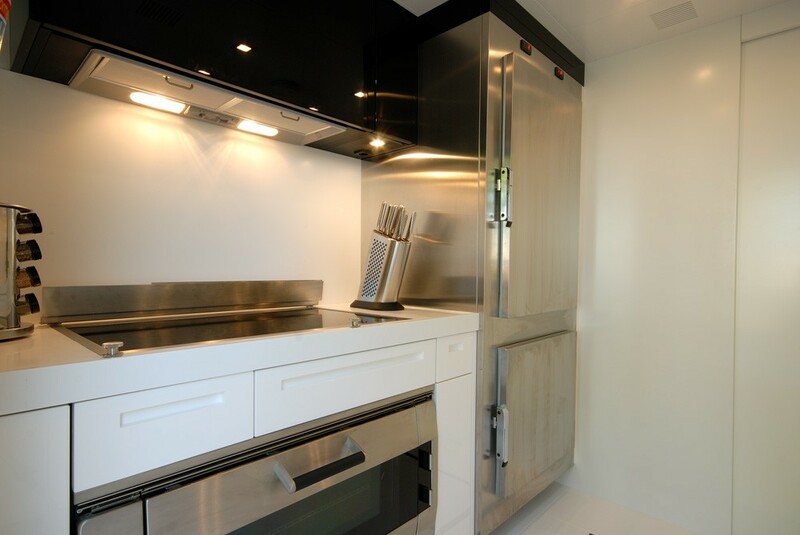 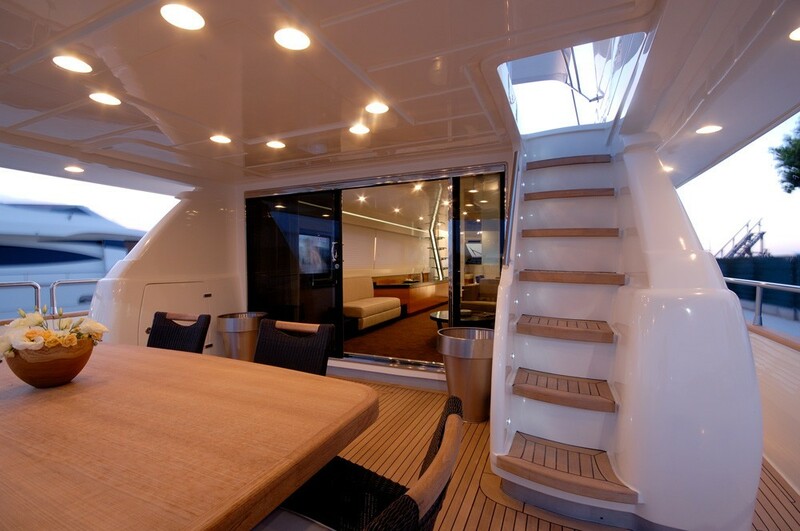 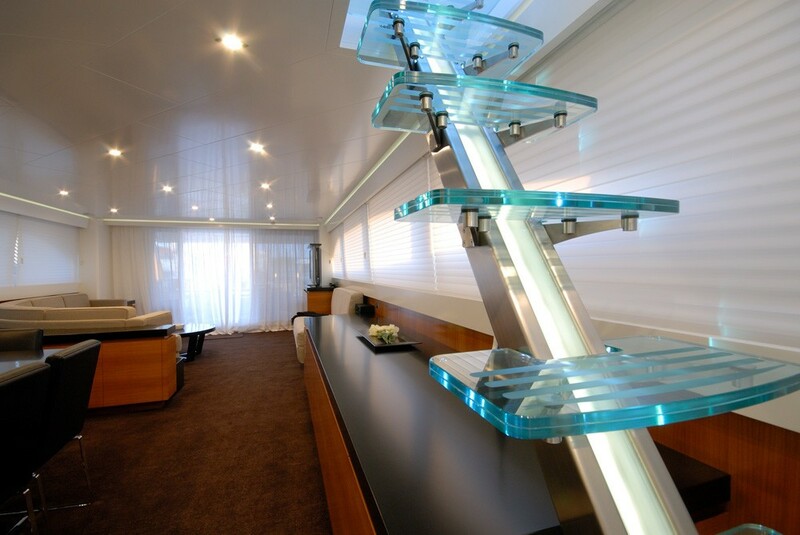 M/Y LARMERA features modern artwork and pieces throughout. 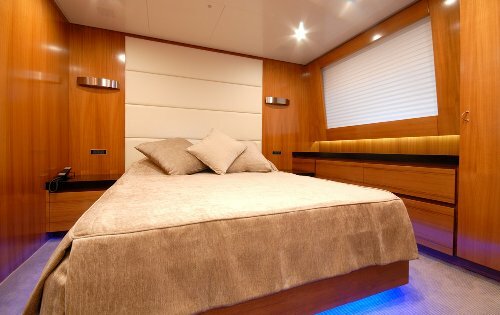 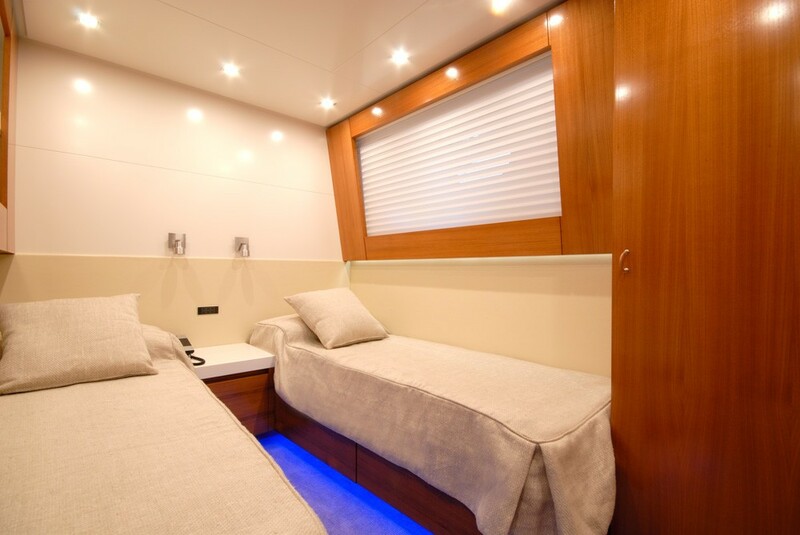 Canados motor yacht LARMERA can accommodate up to 8 guests in a Master suite, a VIP cabin, 1 Kingsize cabin and a Twin cabin. 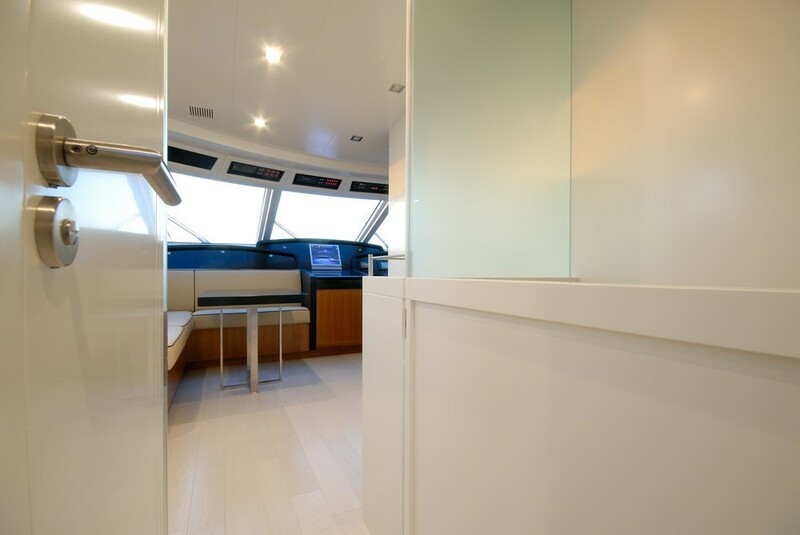 LARMERA’s beautifully designed fly bridge features a wet bar, sun loungers and large dining area. 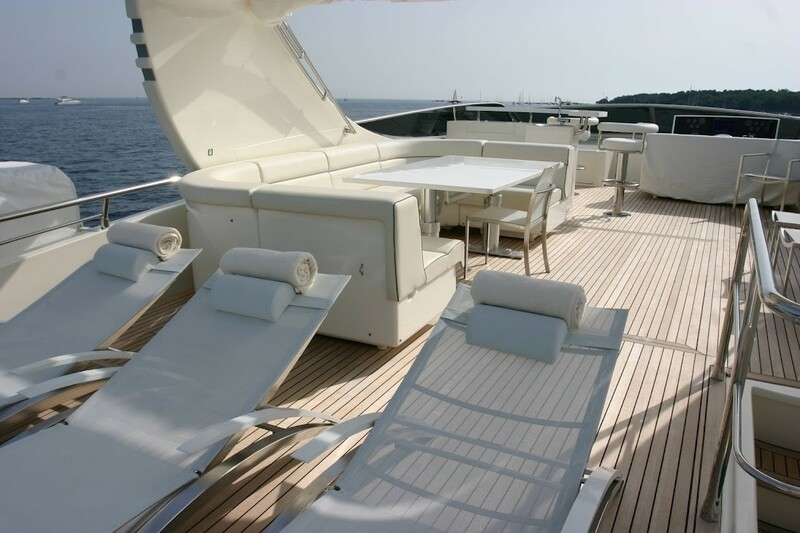 This is the best place to relax and make the most of the sunny days in total privacy. 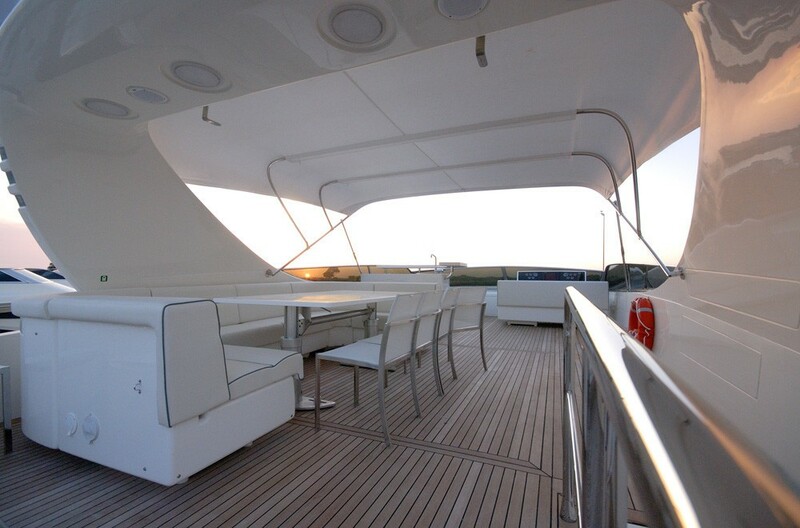 The hard top on LARMERA’s fly bridge provides shade whenever it is needed and with a push a button and the canopy slides open to allow unforgettable moments under the stars. 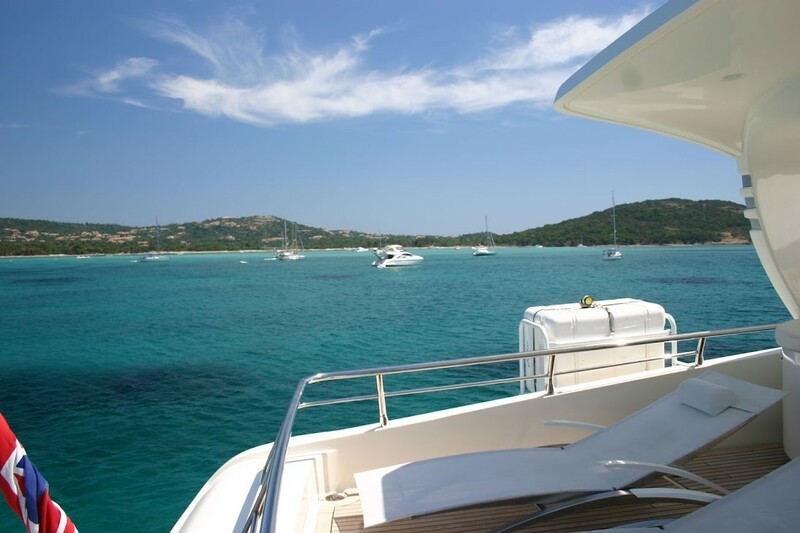 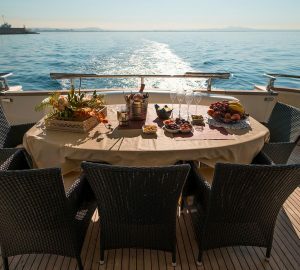 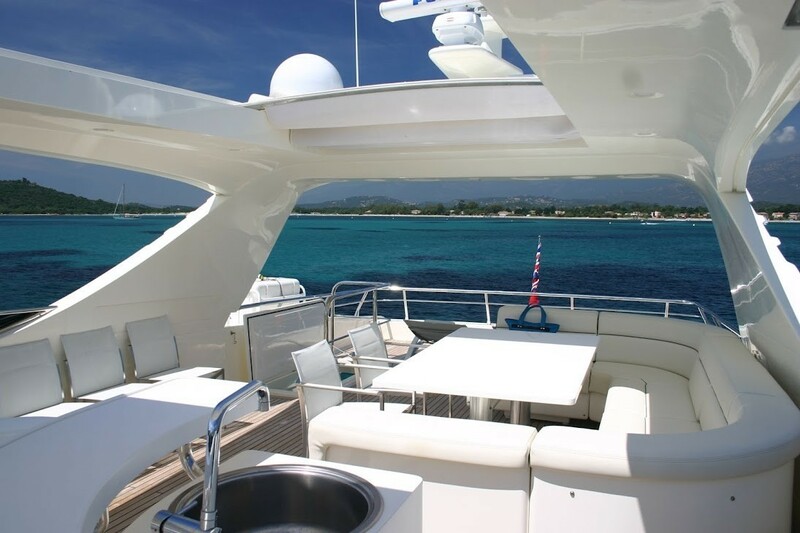 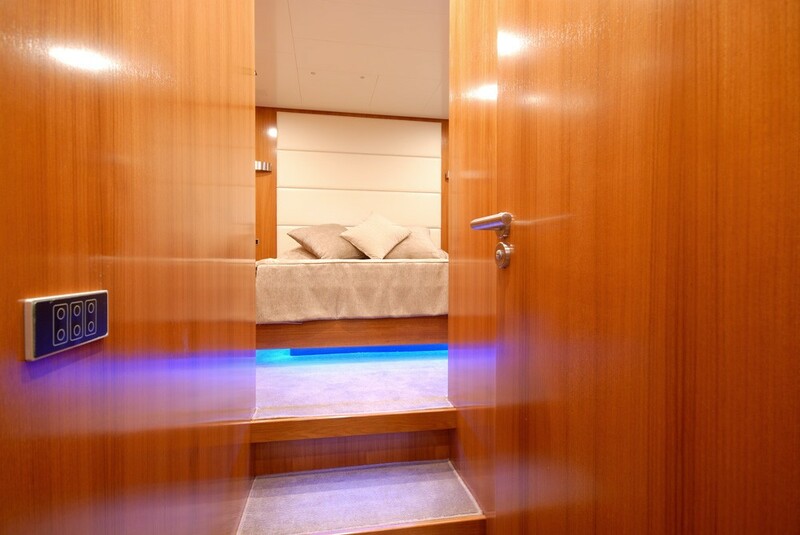 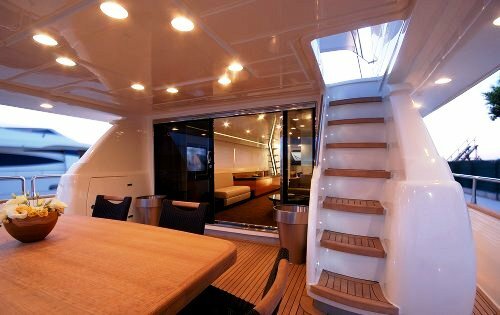 There is also a comfortable spot to unwind on the foredecks sun pads or relax while sipping champagne in the shade on the aft deck. 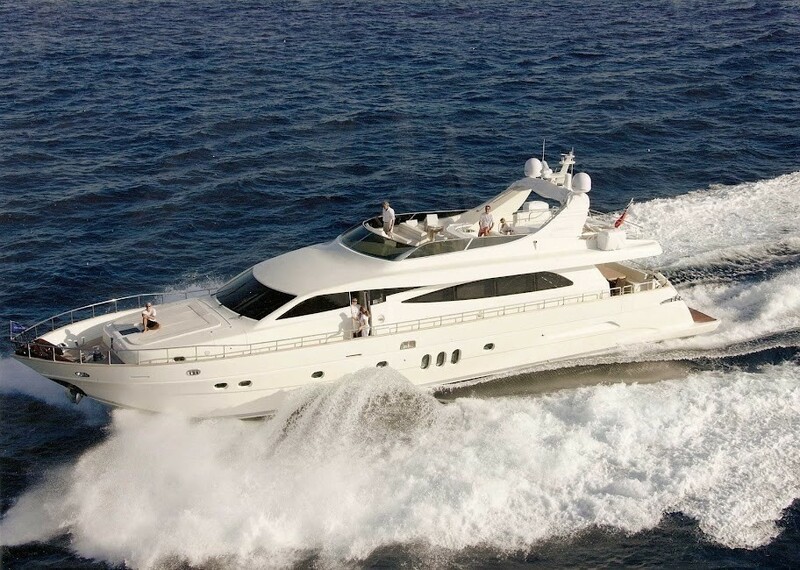 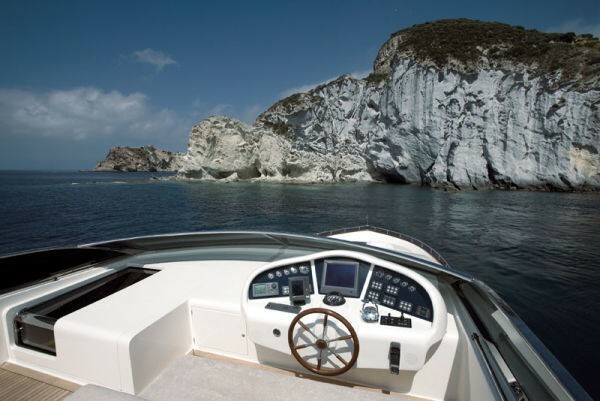 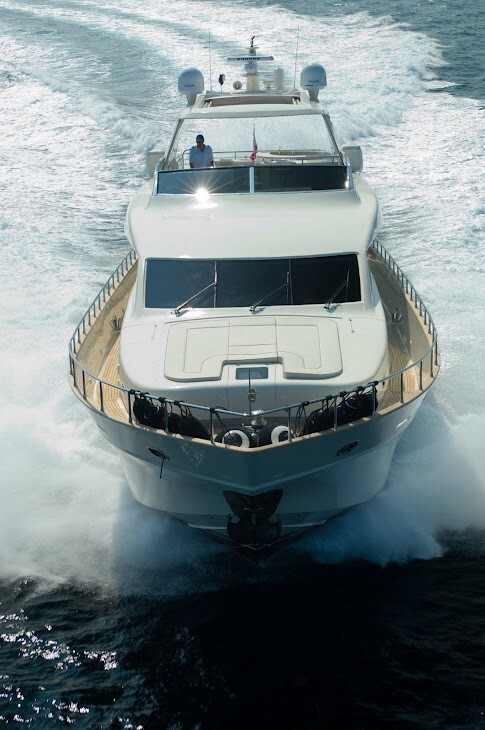 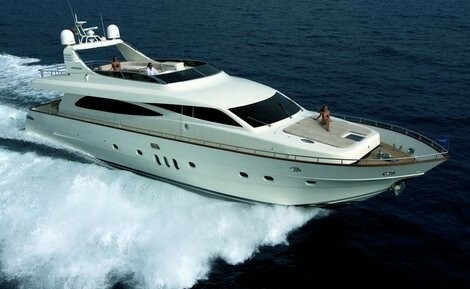 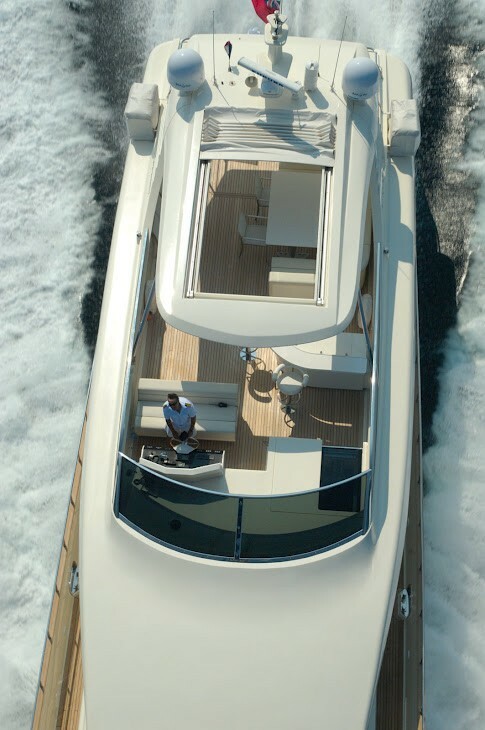 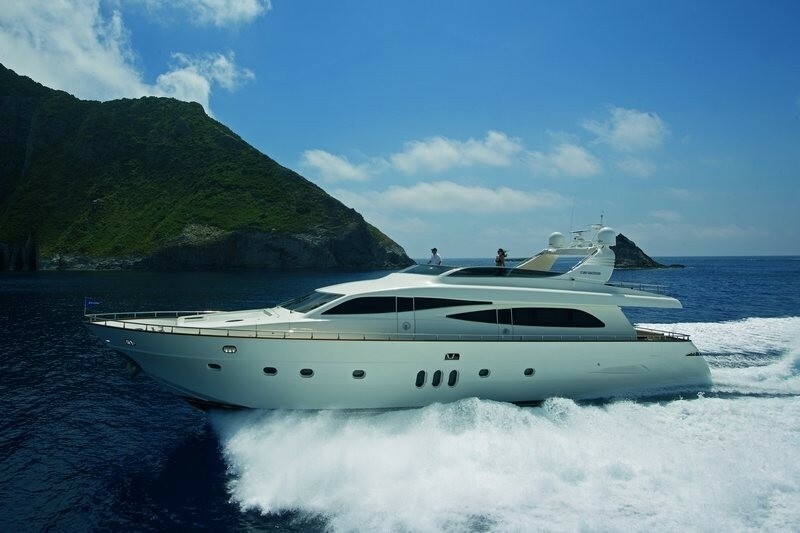 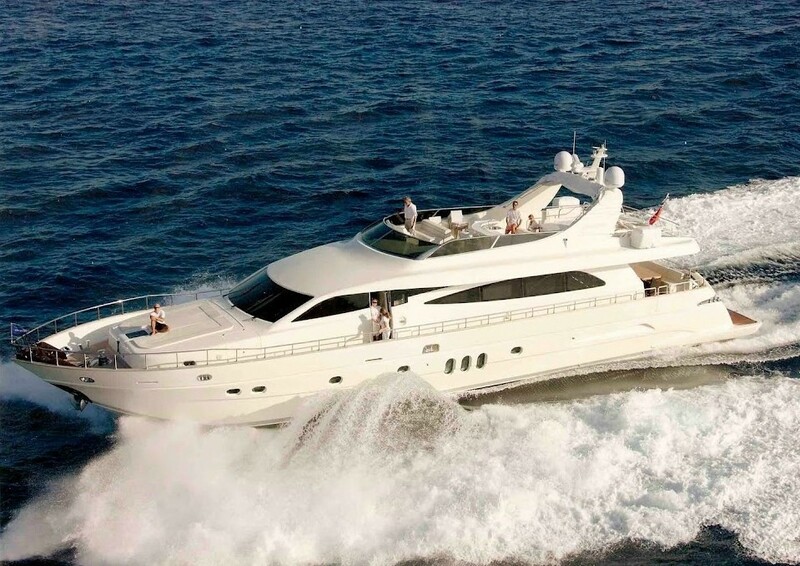 Motor yacht LARMERA can attain an impressive cruising speed on 24 knots with a top speed of 33 knots. 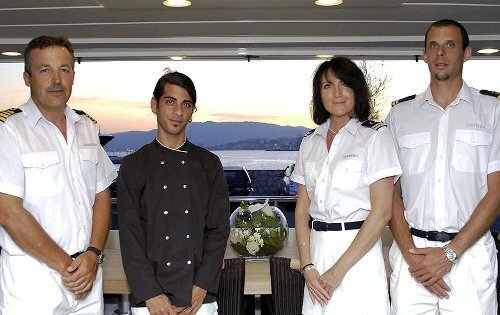 She has a crew of 4 and is based in Cannes and / or Rome. 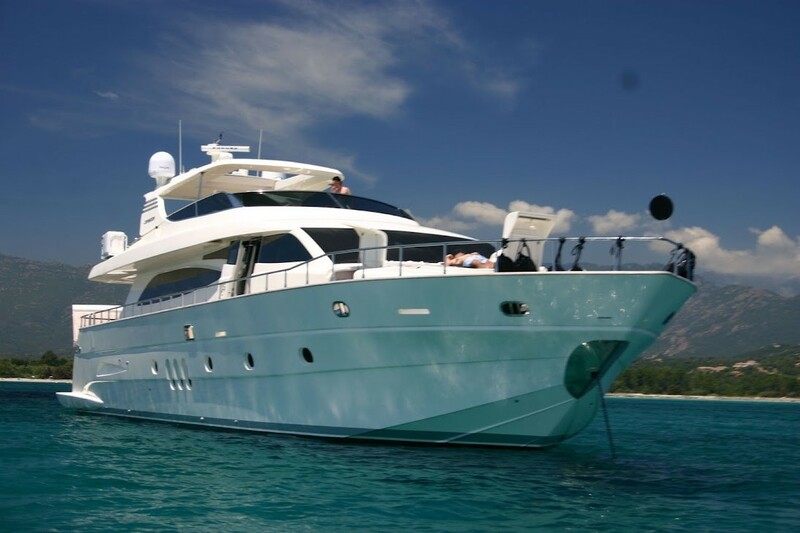 Motor yacht LARMERA has the following extras onboard: Tenders & Toys include a Seabob vx, Ski and other nautical activities, Jet ski subject to availability, Diving by RDV only, Hamann and a Tender 150CV jet. 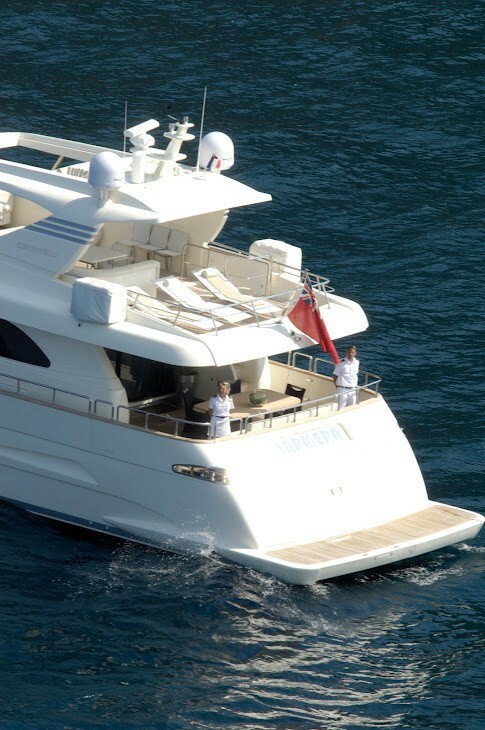 Communications include Iridium/Fleet. 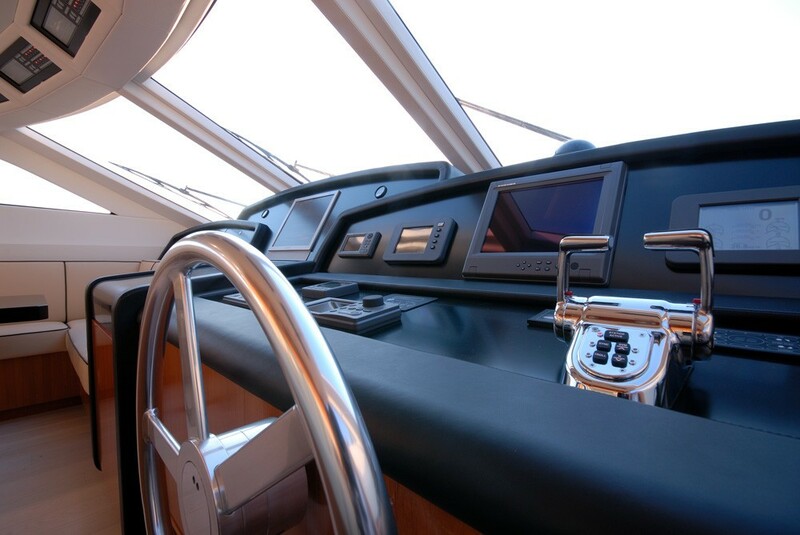 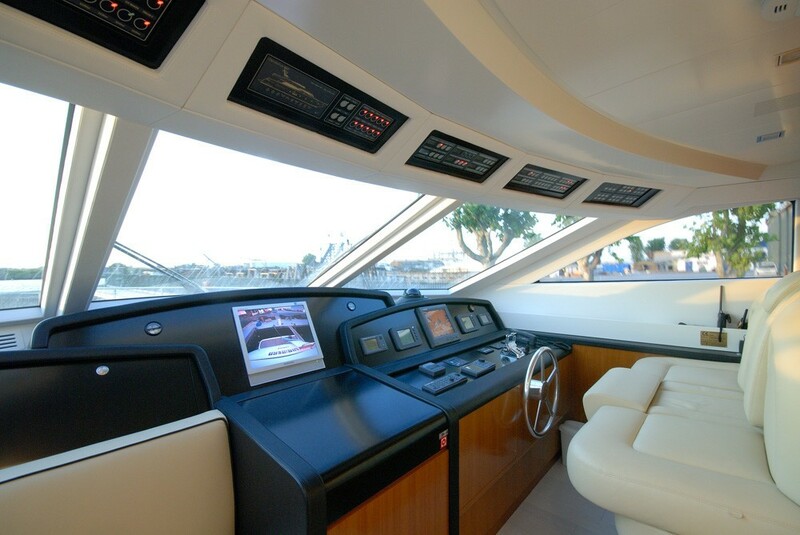 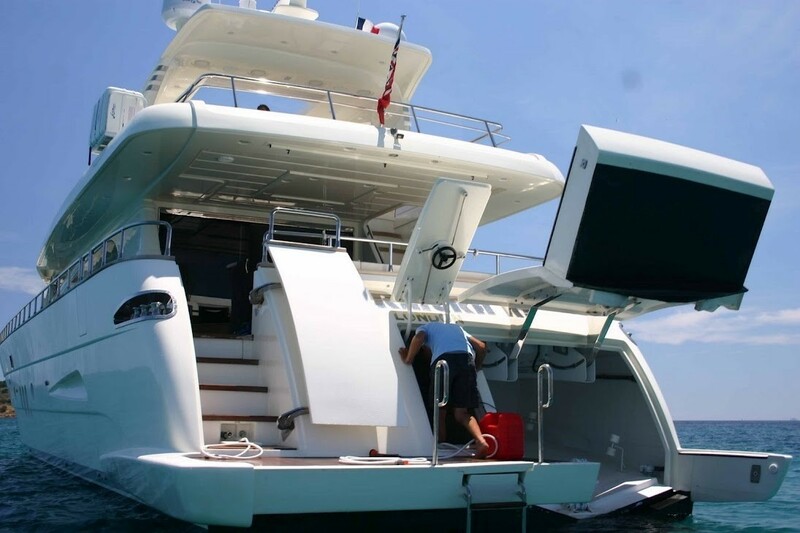 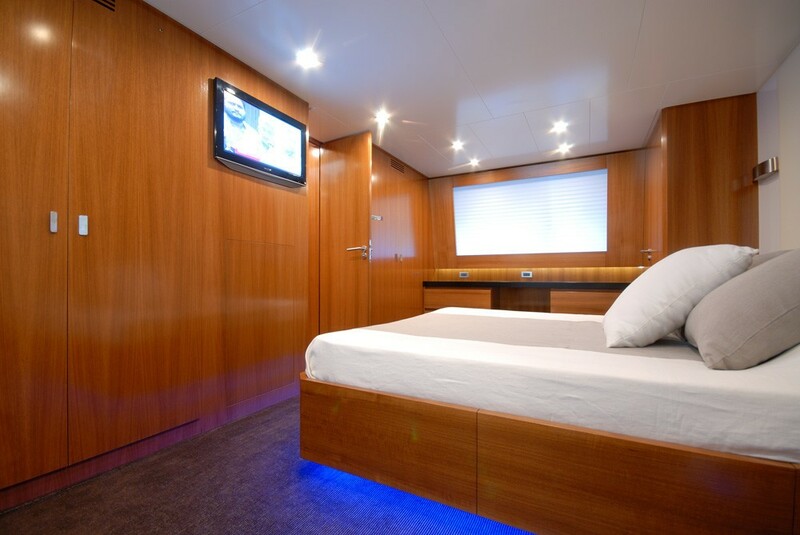 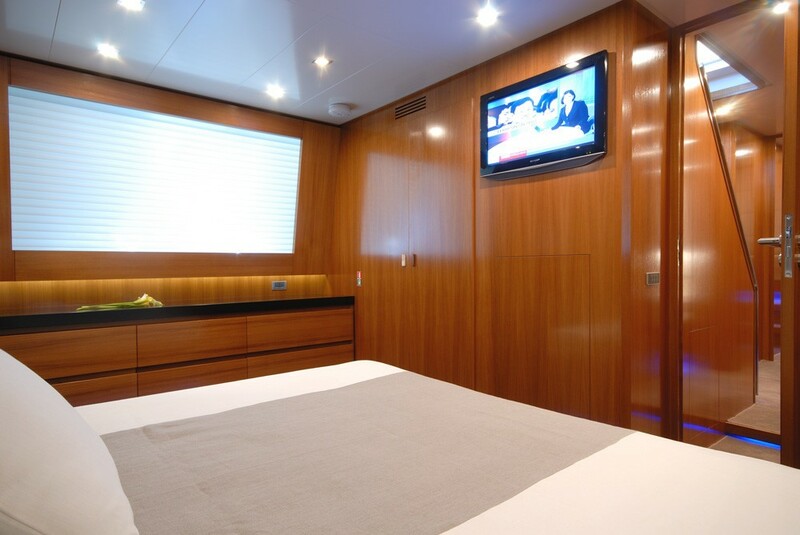 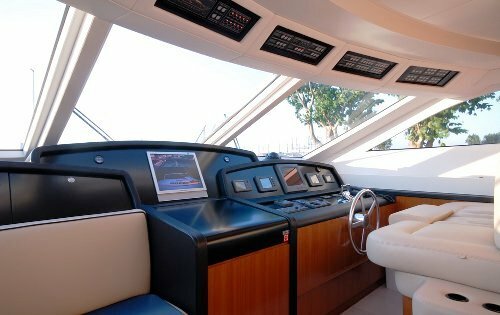 Audio Visual Equipment and Deck Facilities include TV/satellite /wifi/Bluetooth. 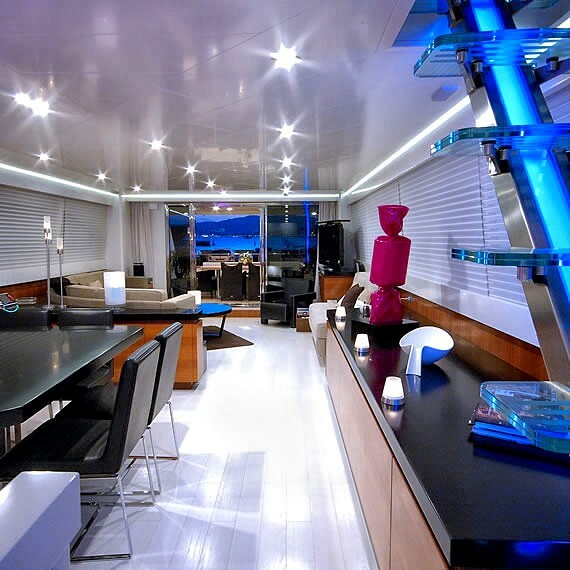 Music multi switch BOSE.